At Precision Box, our export crating solutions are custom designed to suit customer requirements. 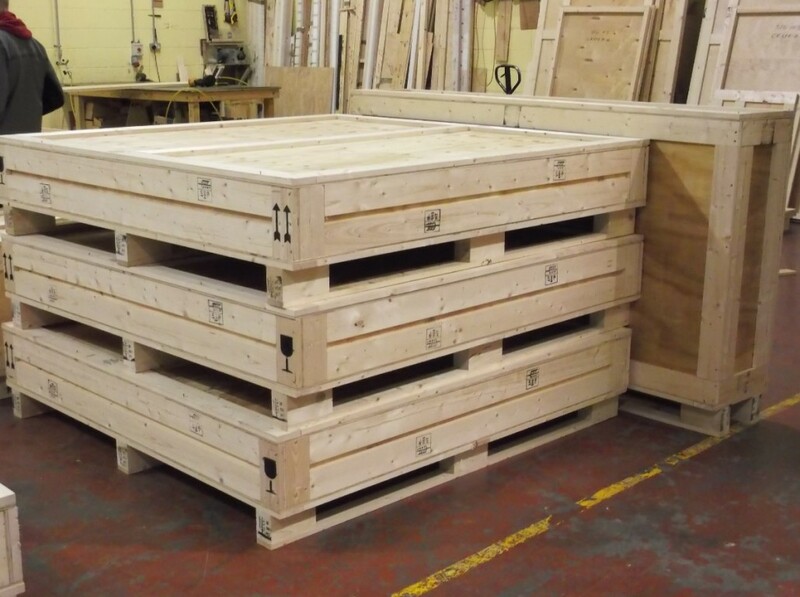 All of our crates and bases are made from heat treated timber which ensures no cross border timber quality issues when exporting products abroad. All of our crates are marked by a stamp with a National Standards Authority of Ireland (NSAI) approved symbol identifying Precision Box crates in accordance with ISPM 15 regulations. ISPM 15 is the international standard on wood packaging material that describes phytosanitary measures to reduce the risk of introduction and/or spread of quarantine pests associated with wood packaging material for use in international trade. All of our solutions are item-specific and we offer a number of timber solutions to crate or pack anything you need. Our crates & bases are optimised for exporting by sea, air or land.